Here I will present all kind of news about TANK and my other comic projects.Every update on sdcomics will be announced here as well, so make sure to subscribe to the RSS-Feed here to not miss any update. This BLOG is the place where you can communicate with me as well. Feel free to leave comments and ask questions. You are very welcome. 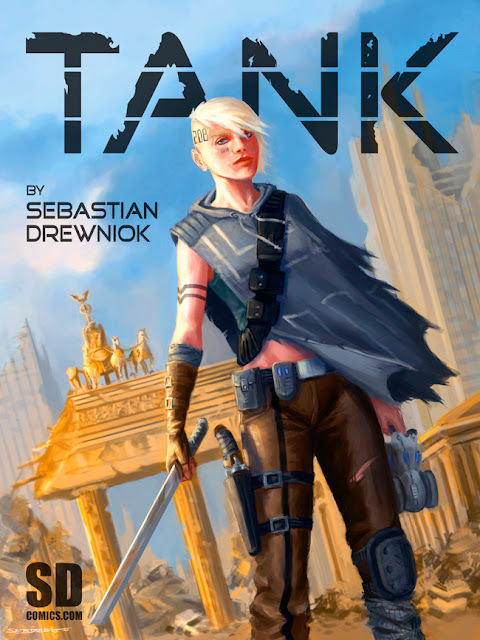 For those of you who don't know it yet, TANK is a post apocalyptic adventure I'm working on. It's a web comic you can read on www.sdcomics.com, a website I created for my web comics. but is it right that the only thing online by now is the cover? No, you cat read the first introducing chapter (16 pages)online. Simply go to www.sdcomics.com and click on CHAPTER 1. I just stumbled upon this comic and it looks like its going to be awesome!!! When will you post more issues?